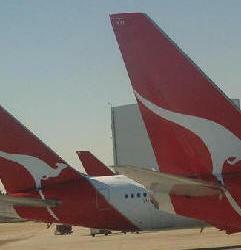 July 26, 2010 - The Australian government reintroduction of changes to the Australian Aviation Transport Regulations preventing licensed pilots accessing the flight deck and transferring legal liability from airlines to pilots, was rejected on Friday in the Senate by the cross benches and opposition for the second time in a year. The Australian and International Pilots Association (AIPA) has described the Senate’s actions today as a victory for common sense and expressed the hope that the Government’s futile attempts to push through this ill advised regulatory reform were now at an end. Pilots were concerned that the resubmitted Regulations were very similar, but more draconian, to those that were rejected in the Senate last year. The development of these Regulations was again conducted in secret and without consultation with regulators, airlines or pilots. The security regulations as they stood would have impacted on safety. Many had believed the Aviation Transport Security Amendment Regulations offer some sound legislation. However, there were two provisions within the bill that pilots and trade unions find unacceptable. Under section 4.67E of the Aviation Transport Security Amendment Regulations, it would prevent licensed pilots from accessing a flight deck if they are not on a company list and transfer safety breaches of the cockpit from airlines to the pilots. See Australian Pilots Say Bill Will Criminalize Pilots Decrease Air Safety. Legal advice prepared by one of Australia’s leading Senior Counsel, Bret Walker, had previously confirmed AIPA’s view that the regulations were both inappropriate and unnecessary. The Association had also commissioned an independent security risk specialist to investigate and debunk the Regulation’s premise that pilots travelling in flight deck jump seats were a safety and security threat.